Sometimes a one-liner says more than a paragraph. 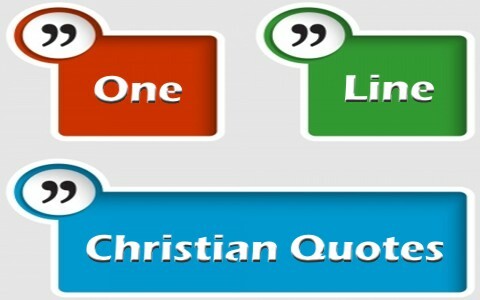 Such is the case in these Christian one line quotes that I have found. They can speak for themselves. For millions of men and women, the church has been the hospital for the soul, the school for the mind, and the safe depository of moral ideas. ~ Gerald Ford. Fight truth decay – study the Bible daily. Some people are kind, polite, and sweet-spirited-until you try to get into their pews. I could go on and on but I would really like you to add to these in the comments below. Please send me a daily devotion. Thank you so very much. Thank you Ejaye. To be added to your emailing list, go to where it says “Free eBook for “15 Answers to Questions on Heaven, Hell, and End Time.” Do you see it on our main webpage? It’s about halfway down.